The apparent confusion by some sections of Africa’s institutions, on whether the recent general election in the Democratic Republic of Congo (DRC), was free, fair and credible, goes to show how the leaders themselves regard the conduct of the democracy ideology. In most cases, they merely pay lip-service to its practice, preferring to twist it into their own megalomaniac perceptions. Following the DRC announcement that Felix Tshishekedi had won the poll; and in objections by the other major opposition figure, Martin Fayulu, the South African Development Conference (SADC), first dithered about recognizing Tshishekedi; then announced that it had endorsed the conclusion of the DRC Constitutional Court, declaring Tshishekedi as the winner. The SADC Chairman is Zambia’s president, Edgar Lungu. It has to be noted that his own general election was mired in controversy over his “winning”- and his subsequent “un-democratic” treatment of the opposition figures. This thus indicates a “birds-of-the-same-feather” syndrome. Lungu’s close mining ties with DRC President Joseph Kabila, too, are suspect. At the other end, the African Union (AU), initially urged the other states, not to recognize Tshishekedi, alternately preferring, a negotiation of the contesting parties of Tshishekedi, Fayulu and Kabila; and rejecting the announcement of the results of the poll – altogether. On the back of this position, is that of the AU Chairman, Rwanda’s president, Paul Kagame, at first wanted to go to Kinshasha, to – do what? Note also that, in Kagame’s own general election, he “won” by over 98%! An incredible democratic win! Lately, Kenya’s president, Uhuru Kenyatta, has climbed on the SADC bandwagon, congratulating Tshishekedi, over what is seen by most international observers as, a “dubious win”. Kenya had a host of its own problems in the legality of their own double general elections. The DRC Electoral Commission gave Tshishekedi 38% of the vote, against Fayulu’s 32%, in a marred vote of supposedly 40 million voters, some of whose three regions were suspended from voting because of, either insecurity, or the Ebola outbreak. Mark you, the Electoral Commission admits that only about 17 million voters actually participated in the voting process. Fayulu is tagging his 62% win on the tally by the Catholic Church that had over 40,000 observers all over the country. Accordingly, their tally, which they have made by ballot count, is regarded as more authoritative and credible than that of the Electoral Commission, which has not even indicated how they came by their figure for Tshishekedi. This gives the favourable argument that it is a cooked-up result influenced by Kabila to continue controlling the affairs of DRC. It is interesting that there is no more mention of his former preferred candidate, Emmanuel Shadari. All this flies in the face of the United Nations (UN), who had taken into account the objections of the Catholic Church, initially against the DRC Electoral Commission. By now, however, the UN has to contend with the endorsement of the DRC Constitutional Court, regarded by many as a Kabila protege. While taking his case to the court, Fayulu had clearly indicated that he had no confidence in the court, which in previous occasions has upheld all the controversial Kabila electoral results. In any case, apart from delaying the poll a number of times, it is the same Kabila who has overseen the conduct of this election, too. 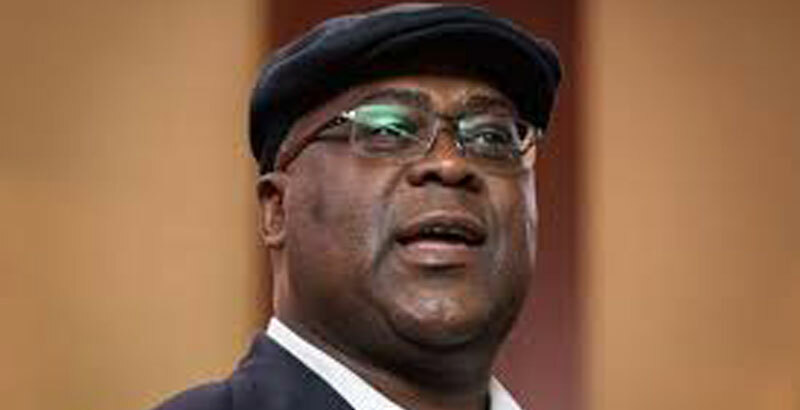 Moreover, Fayulu is claiming that some of his popular bases are the same places where the vote has been suspended, until after the swearing-in of the next president in a little more that a week’s time – who undoubtedly, will be – Tshishekedi. Suppose – just suppose – that the voters in those regions provide Fayulu with a majority, what is the Electoral Commission going to do and say? Also, Fayulu had been backed by Moise Katumbi, an earlier opposition front-runner, who Kabila, not only barred from participating in the elections, but pronounced persona-non-grata in the DRC – his own country. The rogue-manner with which African leaders take into power is absolutely mind-boggling. The preferred argument for all the illegalities is that the countries they play with are sovereign nations; therefore, nobody else has the right to decide their affairs as long as they call the shots. In this case, neither the UN, not the AU has any right to “interfere” with the affairs of the conduct of the elections in DRC. Before that, Kabila had barred the European Union from even sending observers to view the polls. All this monkey business, that the SADC, AU and any other African leader, or institution, over the DRC poll is merely tomfoolery. If Fayulu’s call for “peaceful” demonstrations turns into unadulterated violence, we should know whom to blame – for all it may matter.